On February 15, Congress provided $10.8 million to the Indian Loan Guarantee Program for the 2019 fiscal year, an increase of 16 percent from the year before. This important program provides financial institutions a great opportunity to invest in tribally-owned businesses. On a recent webinar hosted by the Federal Deposit Insurance Corporation (FDIC), Johnson listed a number of reasons why lenders may avoid Indian Country, including an unfamiliarity surrounding tribal sovereignty and Tribal law. Johnson also suggested that some transactions may still be burdened by historic discrimination. The Indian Loan Guarantee Program can offset some of the risk to Lenders by offering U.S. backed guarantees for up to 90 percent of an approved loan. Eligible borrowers for the Program include individual Native Americans, tribes, and tribally owned business entities, as long as the entity is at least 51 percent owned by Native Americans. The projects that secure financing must contribute to the economy of an Indian reservation or tribal service area recognized by the Bureau of Indian Affairs. According to reports, the Program generates an additional $15 in economic activity for every $1 in federal funds, meaning that the $10.8 million that Congress appropriated to the program could generate $162 million in economic activity for fiscal year 2019. 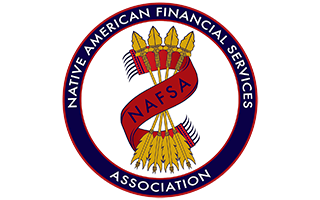 This program is particularly important for native-owned banks that utilize the program to provide funding for tribal communities. DCI typically guarantees 22 to 35 loans in a given year that can vary from $200,000 to as much as $35 million. One bank that has utilized the Indian Loan Guarantee program is Bay Bank, owned by the Oneida Nation. Jeff Bowman, President and CEO of Bay Bank, is a vocal supporter of the Indian Loan Guarantee Program. Bowman has said that the Program has many benefits, including flexibility. For instance, banks using the Program are able to use their own application and underwriting processes, unlike many other federal programs. Although Congress increased funding for the Program, which is a step in the right direction, there have also been threats to its very existence. The Bureau of Indian Affairs requested less than $1 million in funding for 2020, while the White House has proposed eliminating the program entirely.